Rap veteran Nas has spoken – sorta. The hip-hop veteran’s alleged manager Anthony Saleh has put a lid on the growing drama surrounding NBA rookie Lonzo Ball. Saleh went to social media this week to put his two cents on Lonzo throwing shade at Nasty Nas. 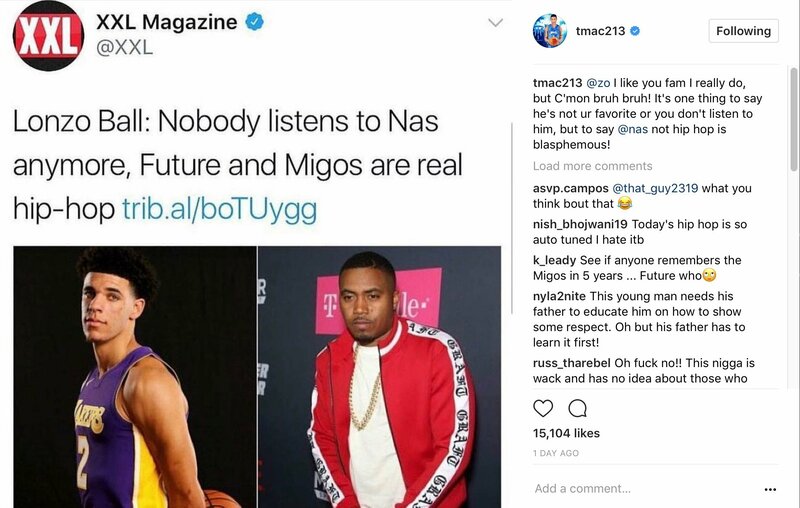 This week, former NBA All-Star Tracy McGrady checked Lonzo for questioning Nas’ relevance. Over the last 48 hours, rappers T.I. and Lil B let loose on Lonzo Ball for ripping Nas. Heading into the weekend, Hollywood actor Michael Rapaport went savage mode on Lonzo.